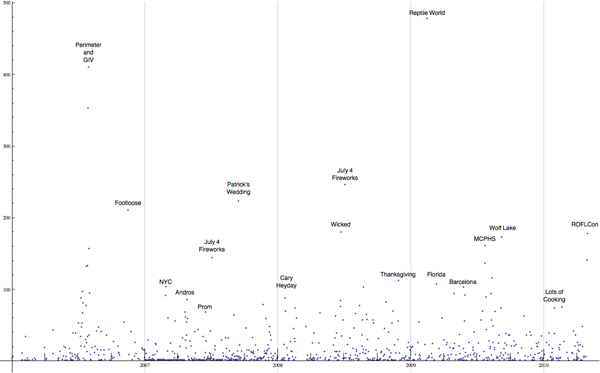 I made a little scatterplot of the number of pictures I've taken each day for the last four-and-almost-one-half years (I have data back further, but it's uninteresting before I had a camera, obviously!). You'll have to click on it to see details; I've labeled various high-yield or interesting events. 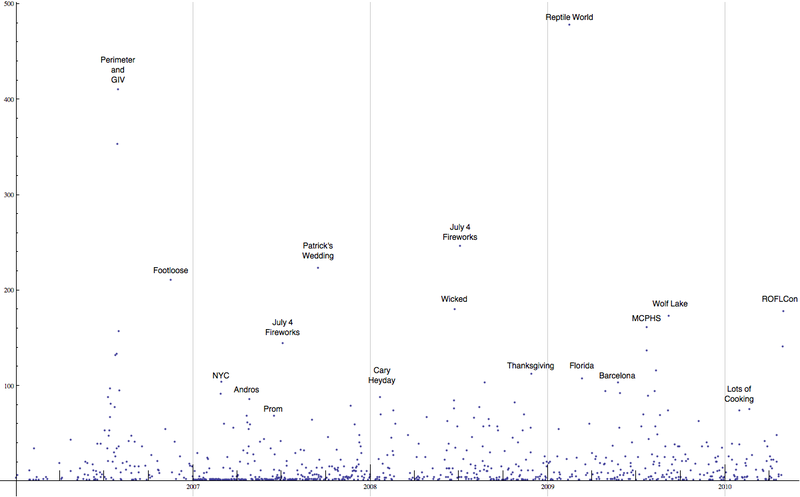 It's a slightly unfortunate visualization, because high-yield but spread out events (Andros, Barcelona, etc.) are harder to see than short events (like July 4th Fireworks, for example). You can also see that 2007 has a lot more total points (mostly around the 1 or 2 picture mark), because of APAD!